I am like a broken record...every time I blog I say how I have been so busy, etc, etc, etc. It's true! But I will save it this time and dive right in to a few things I want to show you! Every year before Thanksgiving break I send home two-dimensional nets. Students can decorate them any way they'd like and create a 3D shape out of the net to use as a Christmas ornament for our classroom Christmas tree. You never know what they will come back like! I have some cute ones this year. 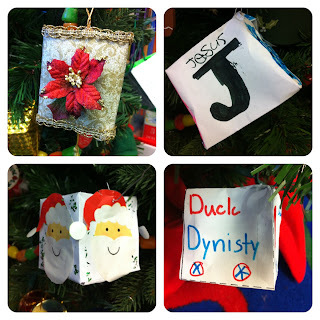 My favorite just might be the Duck Dynasty one! Have you ever watched that show? I LOVE it! 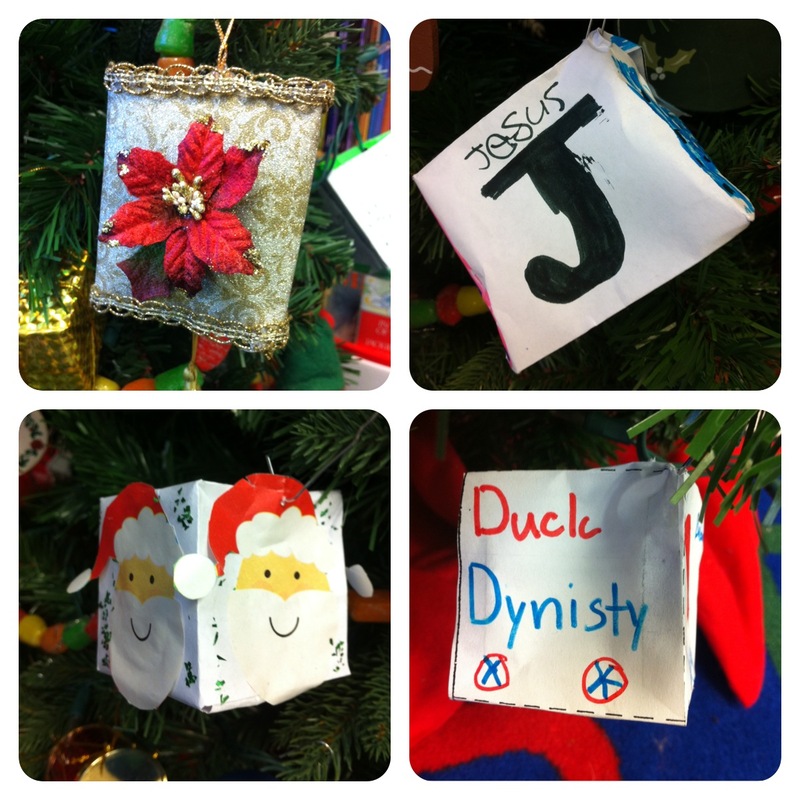 Do you have a class Christmas tree? 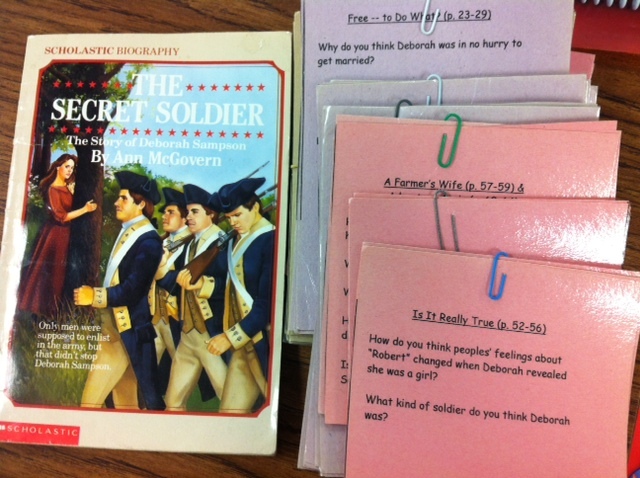 In ELA, we are reading one of my favorite books that goes right along with our Social Studies unit on the American Revolution...The Secret Soldier! 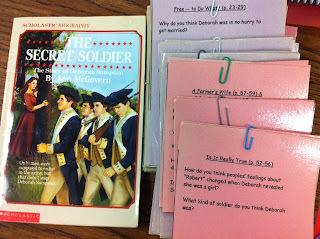 My partner teacher and the teacher before me designed these literature circle cards so we have been reading the text as a whole class and discussing the questions in literature circles. 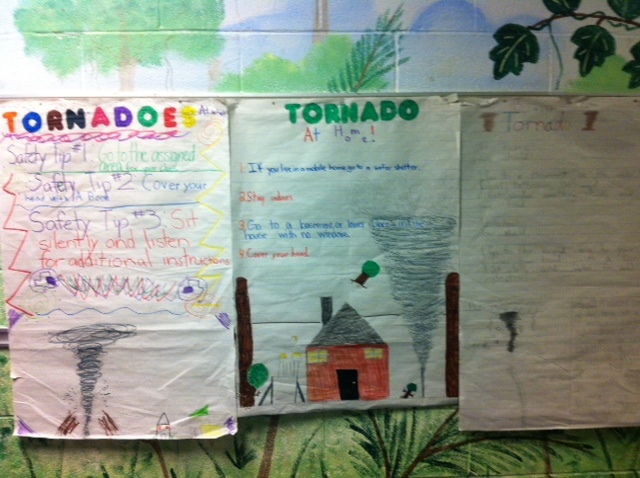 My students love the book! 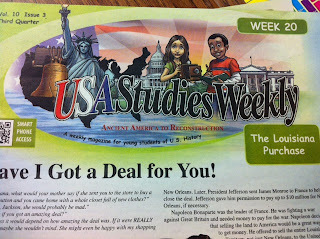 How many of you get USA Studies Weekly? If you do, how do you incorporate it into your curriculum? This is the first year I've got it and I am loving it, but am having a hard time fitting it in with everything else! 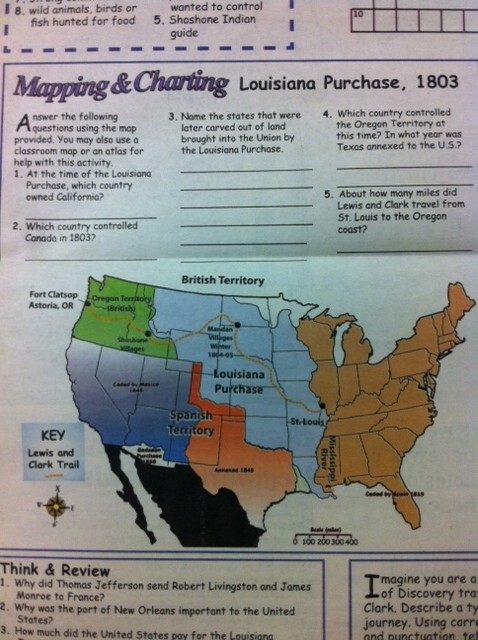 I would love to use them with our Social Studies notebooks. 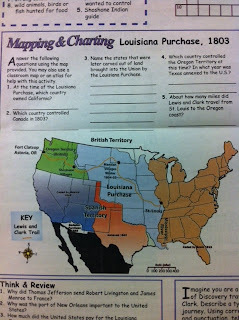 I am planning on using this map that shows the Louisiana Purchase in our notebooks. 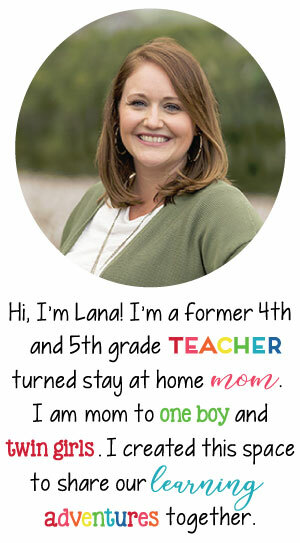 Next week I am heading to a Common Core Workshop for two days! I am looking forward to it. I also got an email today that I have been selected to attend a Math textbook caravan because we are adopting new Math textbooks next year. Out of our Prek-12 school, only three of us are going. Yikes! I am honored, but feel very unprepared for that! Friends, can you believe it is already November? Today I am linking up with Stories by Storie for a Top 10 list of what I am thankful for! 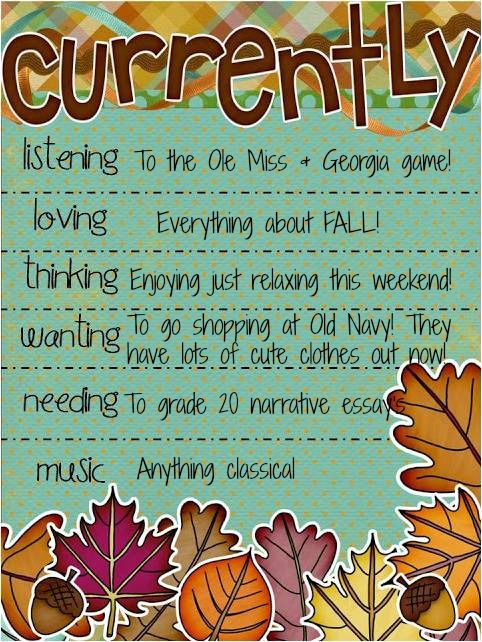 Here are things I am thankful for! 1) God - Thankful for a loving God! 2) Hubby - He's such a hard worker and Easton thinks he hung the moon. 3) Easton - My sweet little boy is my entire world! 4) Family - Love them and miss them so much! 5) Friends - I am thankful for good friends! 6) School - Love where I work at. 7) Home - With all the destruction from hurricane Sandy, I am thankful for a home with electricity, heat, and plenty of food to eat. 8) Little moments - It's the little moments that mean the most! 9) Military - So thankful for all of our troops, past and present, that sacrifice their family time and their life to keep us safe. Can you believe it is already November?! Wow! 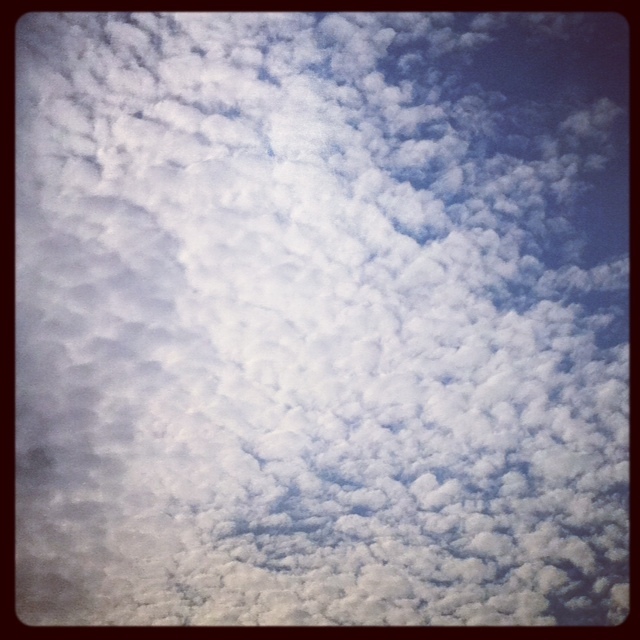 I am linking up with Farley's November Currently! I am not an Ole Miss or Georgia fan, but the hubs is watching so I am, too. We are VOLS fans! Go Big Orange! Am I the only teacher who hates grading essay's?! They can be so subjective and I really dislike grading them, but I have 20 waiting on me so I better get going! Several years ago I found classical CD's at Dollar Tree and bought several of them. 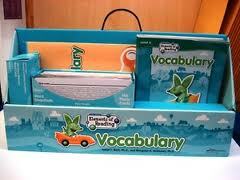 I use them in the morning when kids come in and during independent reading/small groups! I could use some upgrades in the music department so I am going to be checking out some of the music you all are mentioning on this Currently! This post is a little random...you have been forewarned! 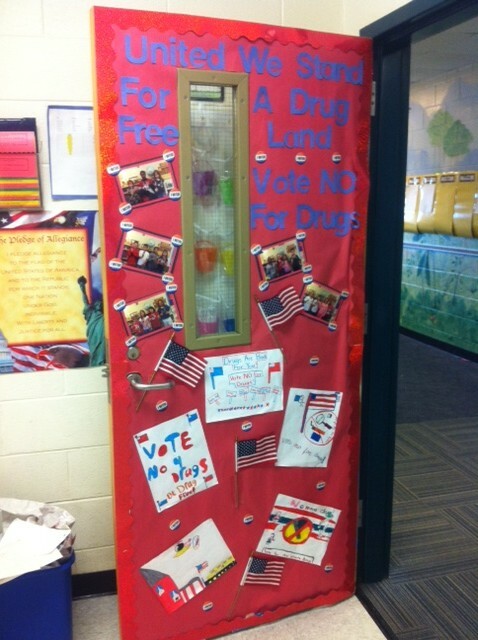 :) First, I wanted to show yall our door for Red Ribbon Week! Our slogan is "United We Stand For A Drug Free Land! Vote NO for Drugs!" I love how it tied in with the presidential election! 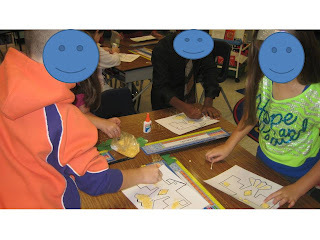 This week we had a candy Math lesson! My students brought bags of individually wrapped candy. Each group had 1-2 bags. First, they counted the quantity in each bag and wrote that number on a post-it. Then, we put the post-it's on the board in order from least to greatest. 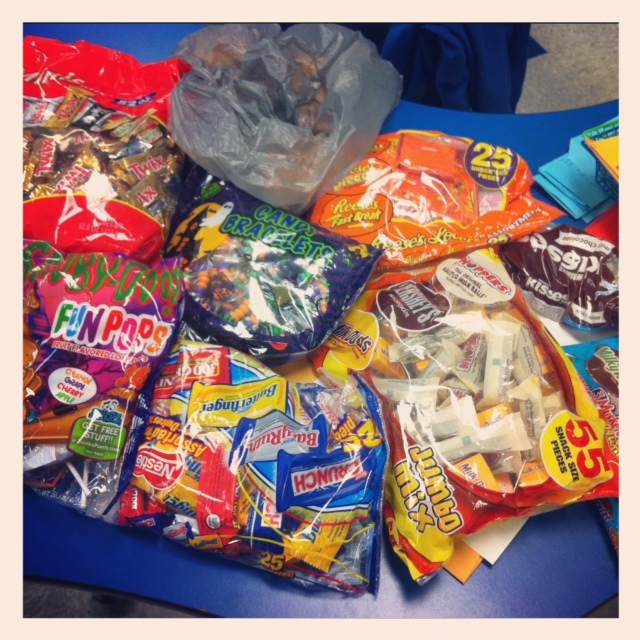 I introduced the words minimum, maximum, range, mode, and median using the numbers of candy we had! 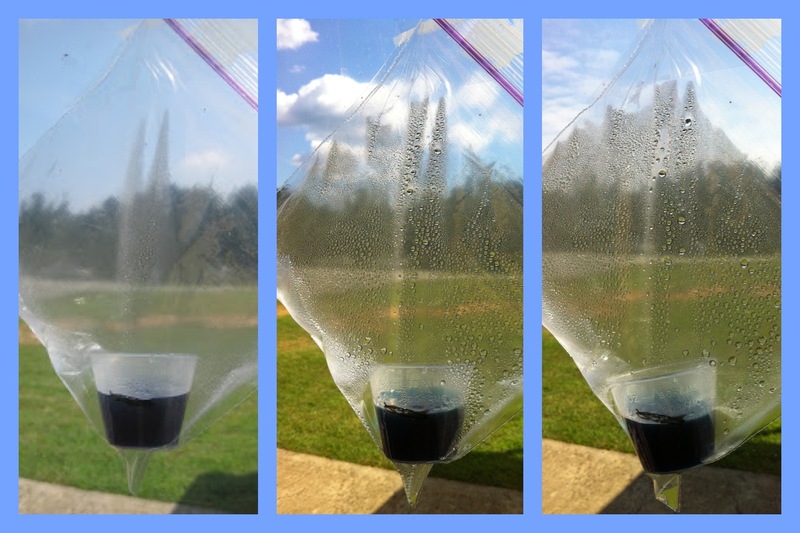 Then, they got to rotate and fill a little baggy of candy to keep for themselves. It was cute! 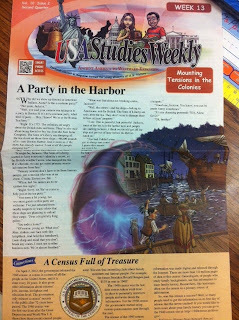 In Social Studies, we are learning about all about factors that led to the American Revolution! This Social Studies Weekly tied in perfectly! 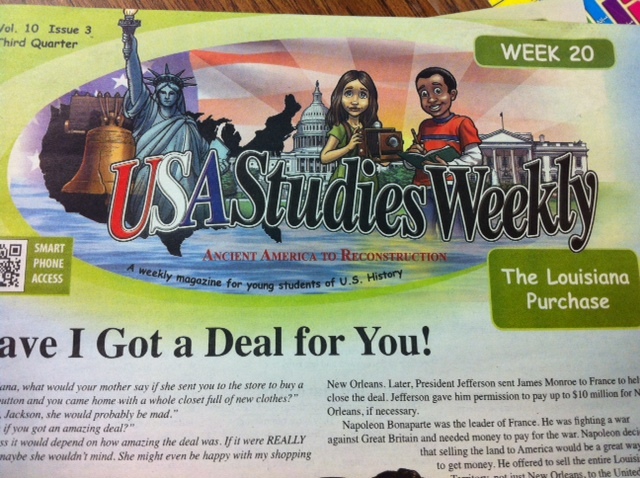 Do you get Social Studies weekly? This is the first year we have and I am struggling to find time to add it into our curriculum, but have enjoyed it so far. I couldn't get the video to post, but I LOVE showing my students the Schoolhouse Rock video "The Shot Heard 'Round the World". 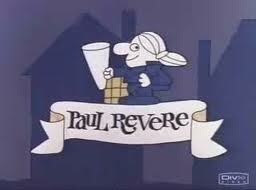 Most have never heard of Schoolhouse Rock, but they all love it! Next Monday we have parent teacher conferences and we are out of school Tuesday! I am looking forward to that! 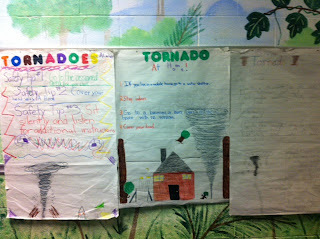 One of our 4th grade standards is severe weather safety! 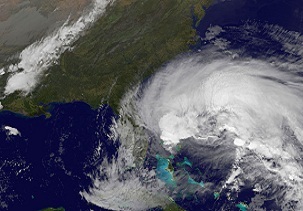 Well, with Hurricane Sandy on the horizon as a threat for the entire East Coast, I'd say we studied it just in time. 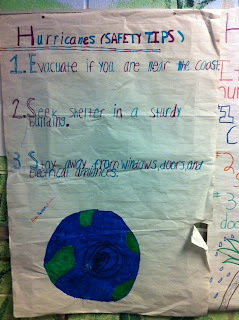 So, if you are near the East coast, my 4th graders have some safety tips for you! 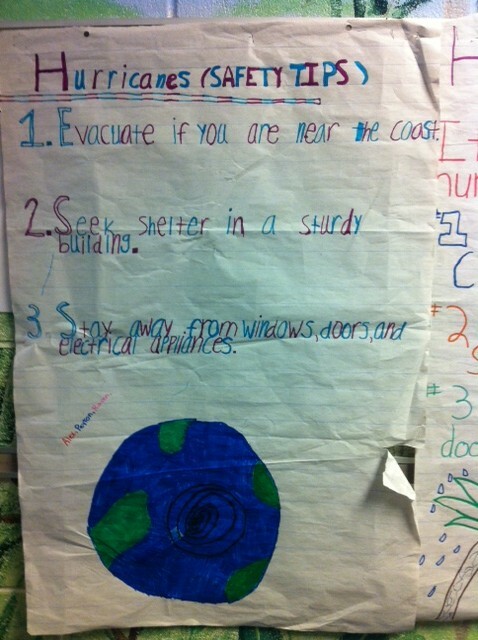 And here are some tornado and thunderstorm safety tips as well! 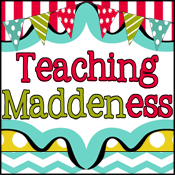 This summer I promised myself I would keep this blog updated and blog all about our classroom activities. Clearly, that hasn't happened! :( My home life has just been super busy lately! Of course, my two and a half year old keeps me on the go-go-go at home. I had a nephew born about 2 weeks ago, my home church in Tennessee was burned to the ground (arson), I went home for the weekend by myself, we've been doing lots of fall fun activities, and I just haven't had the time to blog. 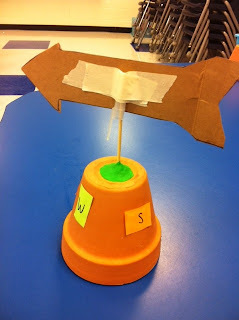 We began our Light unit in Science last week. 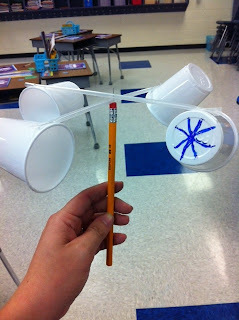 I also like to teach about ROYGBIV! Students got to use prisms to try to see ROYGBIV. We got some great views of it and they were SO excited! 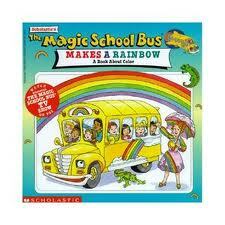 We also watched a video segment from The Magic School Bus: Makes a Rainbow. The segment we watch is called "Colors Hidden in White Light". I love Magic School Bus! 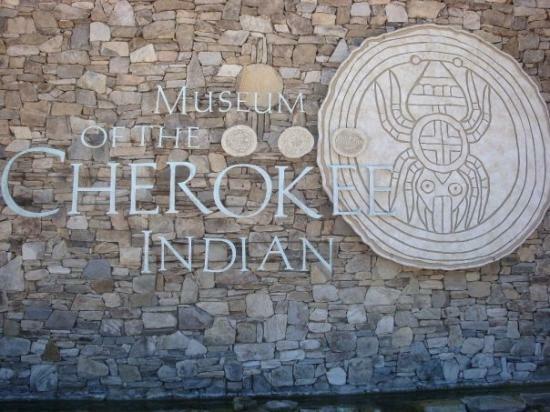 Last Thursday our 4th graders went to Cherokee, North Carolina on our field trip! Out of state field trip, chartered bus, 2 hours there, 2 hours back...yep, I survived! We left the school at 7:00 am. 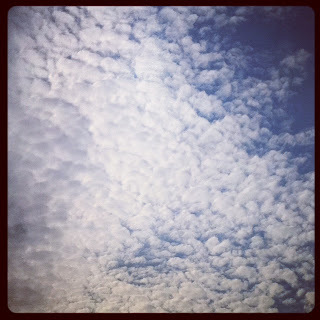 On the way there I heard conversations like "Look at that cirrus cloud! ", "Whoa! It's a mountain! ", and "Oh my gosh, we are driving through a stratus cloud!". 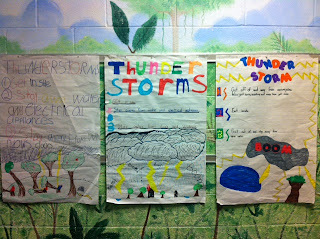 Can you tell we have been studying clouds in Science? We also saw 3 hot air balloons which was neat! We had great weather, good chaperones, and well behaved students! 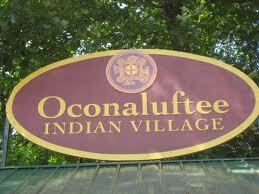 We started out at Oconaluftee Indian Village. A Cherokee man shows us beautiful bead work. Our tour guide shows us hand made masks. 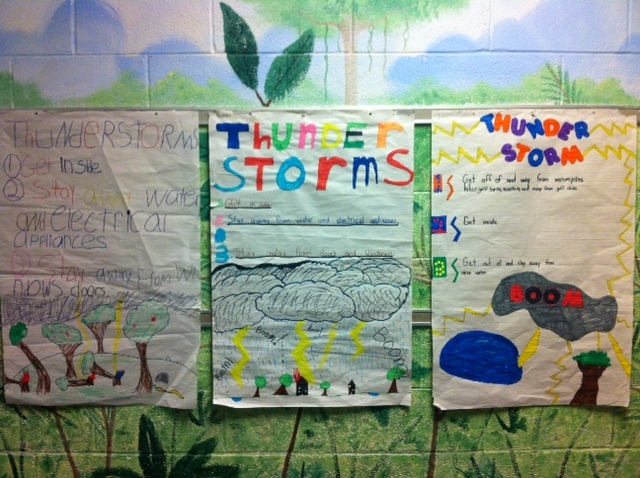 Students get the opportunity to go inside a sweat house. My favorite part was the Indian dances we were able to see. This is my 5th year to take students on this trip and we've never had time to see the dances. I was glad we had the time this year. After the village, we had lunch at a local covered shelter. 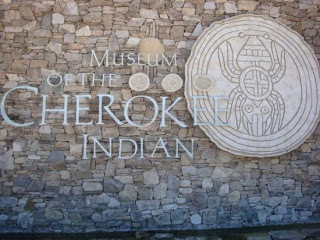 Then, we made our way to the Museum of the Cherokee Indian. We always take a photo in front of the Sequoya statue. We had a wonderful time! 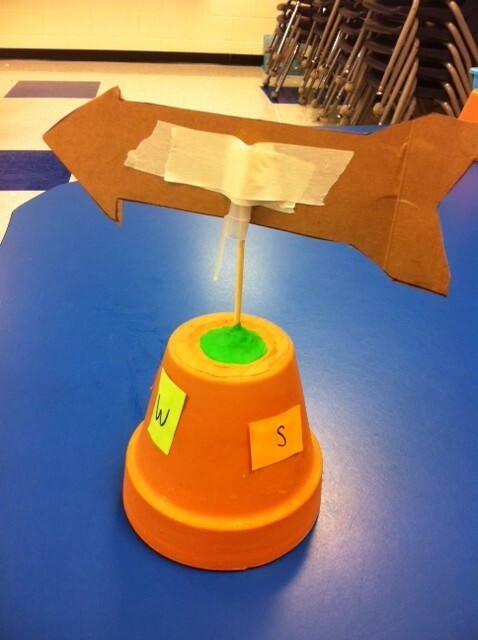 Do you take your students on field trips? If so, where?